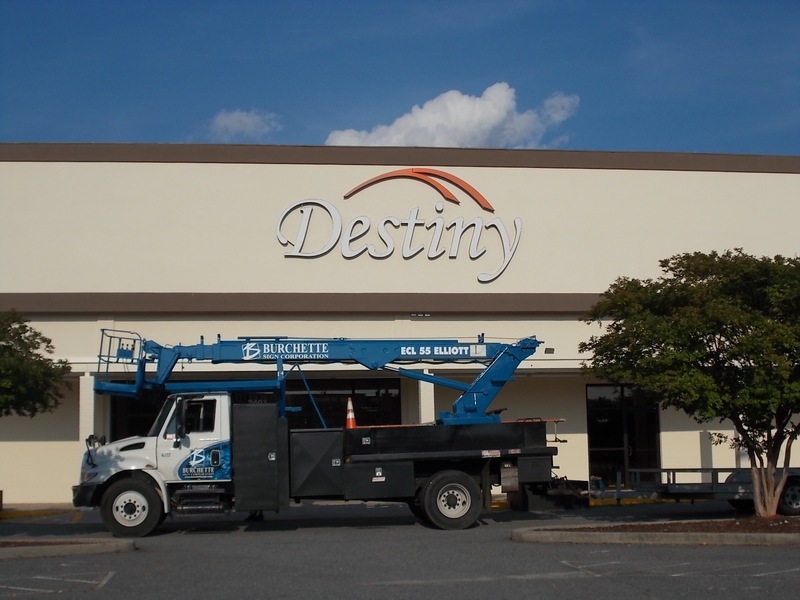 Burlington Signs, Burlington Awnings & Burlington Banners offered at Burchette Sign Corporation Burlington Designers, Manufacturers & Installers of Quality Signs, Awnings, Banners and other Signage. It is time to breath new life into your business and attract new and exciting customers.? At Burchette Sign we have been doing exactly that for over 55 years.? We can take your ordinary dull advertising and create an award winning, stunning sign that shows how amazing your company truly is.? Taking the ordinary and making it extraordinary is our number one goal.? From the first contact until your sign and or graphic is complete you will be cared for as if you were family. Burchette Sign has been serving the North Carolina & Triad Area since 1960. Providing Quality advertising service to each of its customers. We strive on making your decision as easy as possible. Our attention to detail, fast service and reasonable prices will help you to find the best signage for your business and your budget. We are with you every step of the way, and we are always available to answer any questions you might have! Burchette Sign in North Carolina we use Eco Friendly products and Recycle: Acrylic, Aluminum, Copper, Steel, Cardboard, Used Engine Oil, Wooden Crates and Glass.